Wine writers and wine buyers so often only see a region briefly when visiting a specific vineyard, two or three vineyards in a region, sometimes a local restaurant. Invariably we see small snapshots of an area, out of context of its history, people and dynamics. For thirty years I have toured the vineyards of the Var. In the beginning there was a greater sense of adventure as vineyards were often reached down windy country lanes, seemingly in the middle of nowhere. In other places the little villages we drove through tempted us with cafés and village bistros. The roads have slowly been straightened and widened, avoiding many of the villages with by-passes. Provence has speeded up. Sometimes serendipity plays an important role. Last week, at short notice, I planned a weekend in the central Var. Everywhere was full, but I managed to find a cancellation for the weekend in the small village of St Antonin du Var. There was something quite symbolic about this. The very first vineyard I had visited in Provence was here, Château Mentone, in 1987. I had visited a few other local domaines, all in the Côtes de Provence appellation, but never more than just visiting the vineyards. St Antonin du Var is rather sprawling, with no central square (the bar of Hotel Lou Cigaloun serving as a village focal point), no outstanding architectural beauty or quaint village lanes to explore. But over the weekend I realised that this village, with just under 700 inhabitants and its six wine domaines, encapsulates the rich and varied history of Provence. Evidence has been dug up in the surrounding fields of early Roman occupation, including a wine press at Château de Salgues just outside St Antonin. The name of the Château de Sarrins comes from the ‘Saracens’, who are said to have occupied many villages around the Massif des Maures between the 8th to 11th centuries. According to local tradition, a local Saracen chief was killed and buried in his golden armour and surrounded by his treasure in the area, which became known as Les Sarrins. The hills around the vineyard are dotted with hollows where locals have prospected for treasure over the years. Château Mentone reflects the growing industrialisation of the region. When I first met the charming elderly owner, Madame la Comtesse Gabrielle Marie-Renée Perrot de Gasquet in 1987, she was happy to chat of her childhood and how her family would take the little train which meandered from château to château to visit friends and family, and how, during harvest time, whether of olives, fruit or grapes, the train was also used to move the harvest back to the château. The Comtesse’s father made his money through a local brick factory. Eleven kilometers to the north of Mentone is the small town of Salernes, where bricks, tiles, pipes and pottery were first produced in large numbers in the early 19th century from the local iron-rich clay. The soil at Salernes contains so much lead that it is forbidden to have vegetable plots or vineyards along the river Bresque. 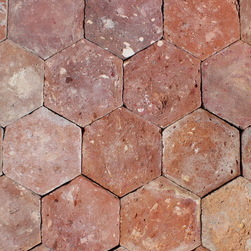 By 1850 the hexagonal terracotta floor tile called ‘tomette’ had become the town’s principal product and was exported around the world. From the 1950s, new ceramic tiles in a wide range of colours started to be produced, and are now a fashionable product. Today there are some 15 tile producers situated along the main road south of Salernes. During the 19th century, Château Mentone, like many other Provençal estates, also had mulberry orchards for the leaves to feed silkworms. In the 18th and 19th centuries, Provence experienced a boom in sericulture (silk production) that would last until the first world war, with much of the silk shipped north to Lyon. 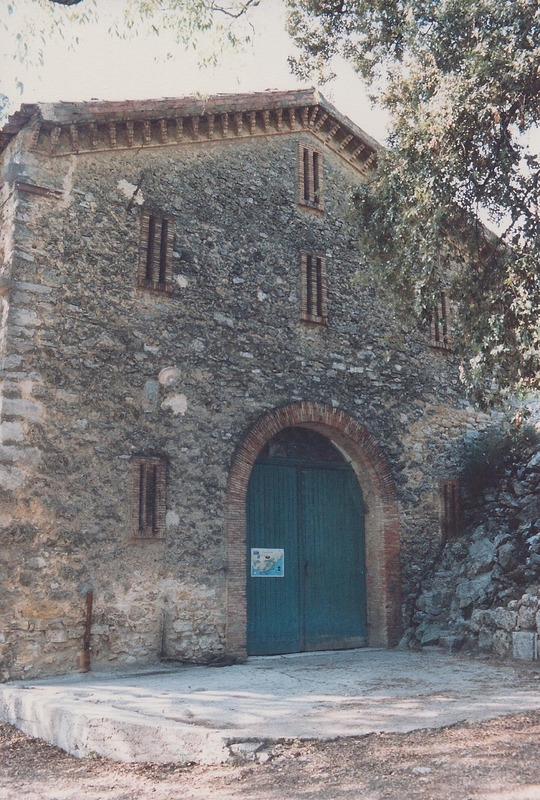 The large magnanerie at Château Mentone, where the silkworms were housed, is made of bricks with a high vaulted ceiling. Each vault has the bricks laid in a different pattern – done by different workers from the Comtesse de Gasquet’s father’s brick works. Disease started to decimate the silkworms during the second half of the 19th century, and silk production declined. The current vineyards had largely been planted after the Second World War. The Comtesse remained in ownership until 2003. 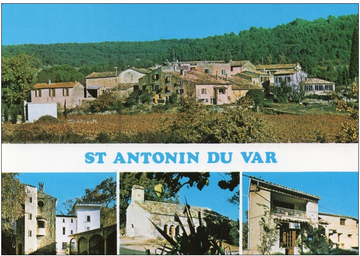 St Antonin du Var is a village with long family traditions, and this is reflected in the third domaine, Bastide des Prés, founded in 1891 by Franck Heraud’s great-grandfather, which has been owned and run by the family since. Franck remembers how his father and grandfather sold their wine in bulk to wine merchants in the Alpes Maritimes, who would then bottle it for their clients on the Côtes d’Azur. He is the first generation to bottle the domaine’s wine. 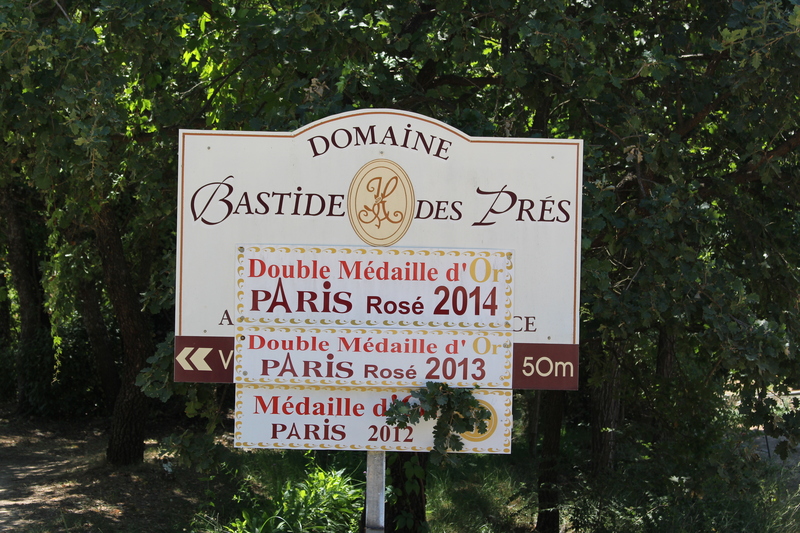 The rise in popularity of rosé wine over the past twenty years ago has provided the necessary funds to allow many vineyards in Provence to survive and move forward. 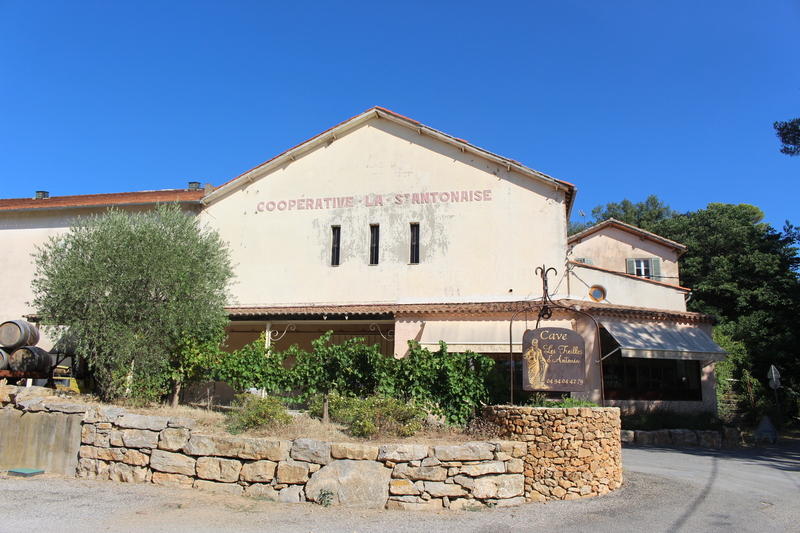 The fourth “domaine” is in fact the local co-operative, Les Treilles d’Antonin founded in 1923. From the end of the nineteenth century, when viticulture was in a crisis with over-production, the phylloxera crisis, mildew and oidium followed by the First World War, all contributing to a massive rural exodus, co-operatives came into their own. 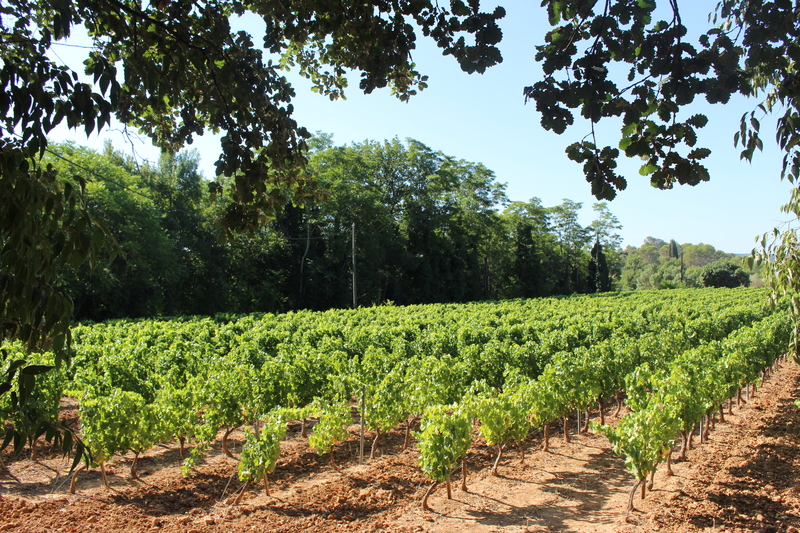 Les Treilles d’Antonin is the smallest co-operative in the Var with only 8 members and 50ha, and makes amazing value-for-money wines. 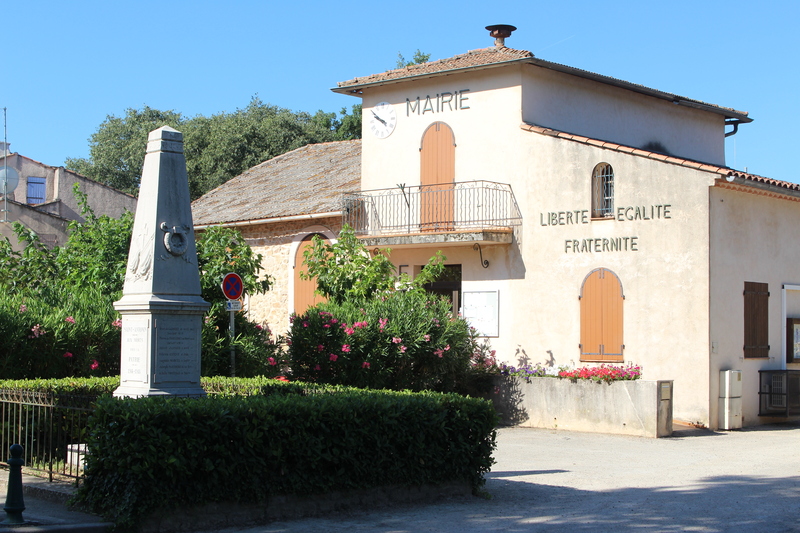 The modern world of wine in Provence is also represented in St Antonin du Var. In the latter half of the 1990s, three vineyards came under new ownership. In 1995 the Château des Sarrins (24ha) was purchased by the Champagne house Bruno Paillard, one of the first, if not the first, Champagne house to form a link with Provence. Today rosé wine and champagne both play on the image of leisure and luxury in their marketing. Champagne ownership and an Alsatian winemaker results in wines which are slightly atypical of Provence. 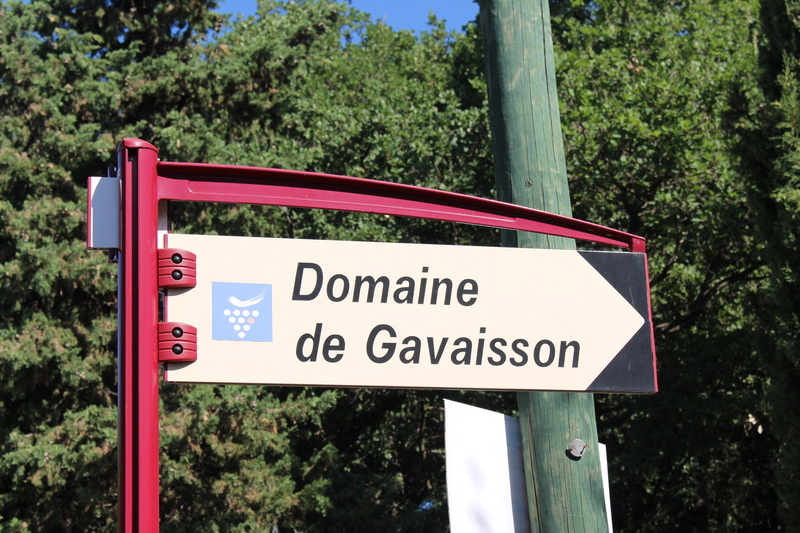 Domaine de Gavaisson, was laid out in the early 1990s with 6ha planted with olives and a landscaped garden. A bijou vineyard of 4ha was planted in 1996. 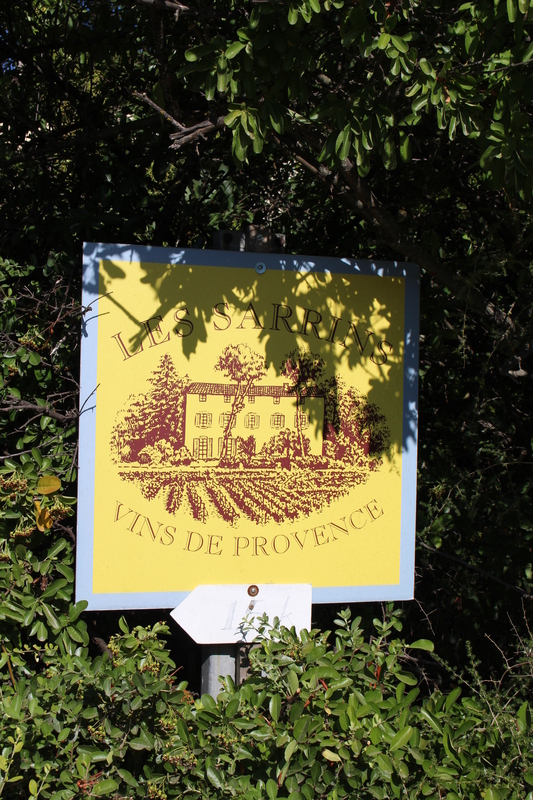 Today, the owner is Emmanuel Gaujal, one of the stars in the world of Provence wine, who has created and set up many famous estates. Today he produces only white wine for a small quality-conscious market. In 1998 the Vancoillie family established the Clos d’Alari domaine with 8ha of vines, olive trees and oaks (for truffles) and a chambres d’hôtes. A lovely classic range of wines are produced and the early autumn rains in 2010 resulted in an experimental, and delicious, sweet wine. With the passing of the old generation, many old family domaines moved into new ownership, often leading to sudden modernisation. In 2003 Château Mentone was bought by Marie-Pierre Caille, the daughter of a wealthy businessman, again reflecting a growing trend in the region of outside investment. Mentone is now an oeno-tourism venue with a spa, accommodation and restaurant as well. Winemaking has continued to honour the traditional styles. The old vines were kept and modernisation used to improve, not change the wines. 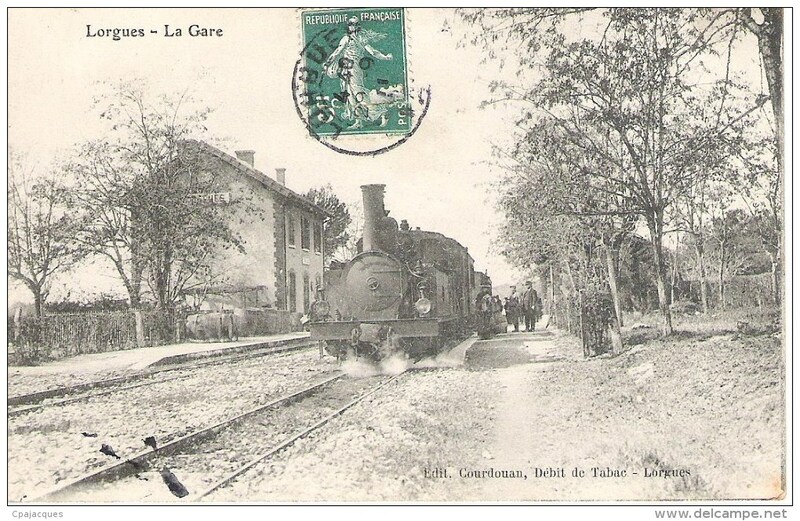 The small railway used by the Comtesse de Gasquet, is now disused, but the old railway track has been turned into a wonderful path for ramblers, linking Salernes, Lorgues and St Antonin. 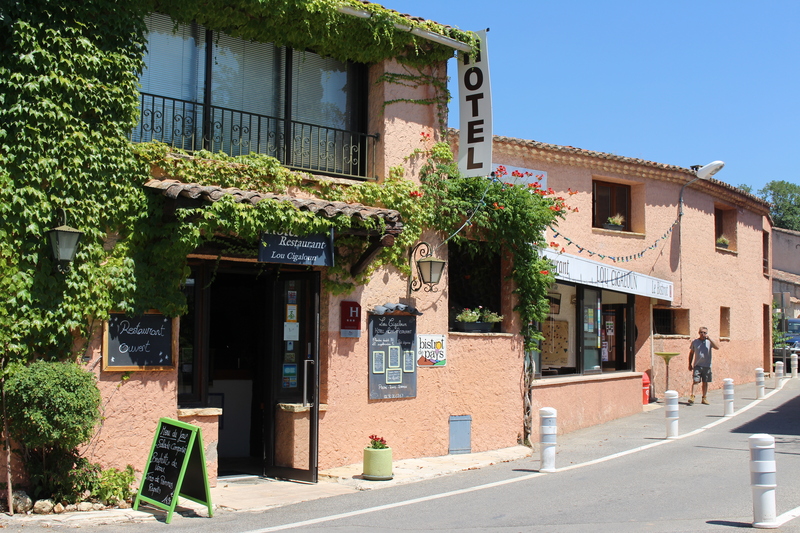 Safely tucked away off the main road, St Antonin du Var remains quiet and self-contained, typical of much of modern Provence with its high number of French and foreign second homes and villas for rental. 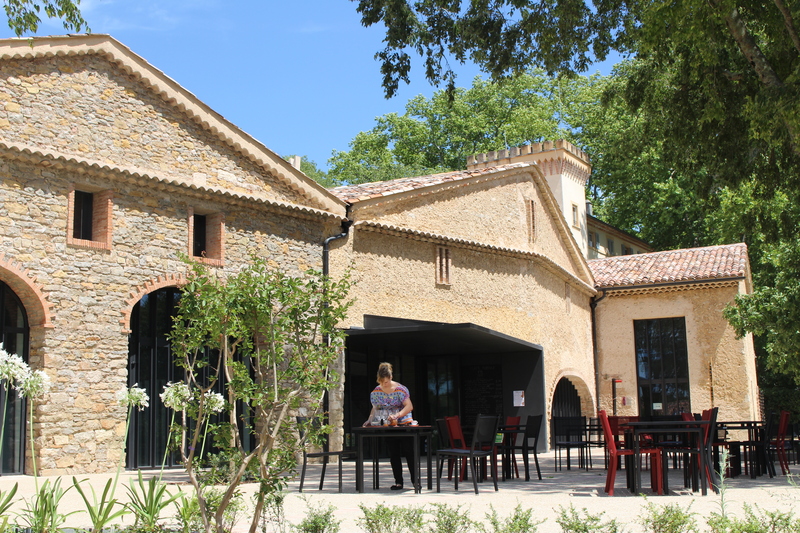 In the grounds of the Château de Salgues, 13.5ha of solar panels were installed in September 2013 by Solairedirect. 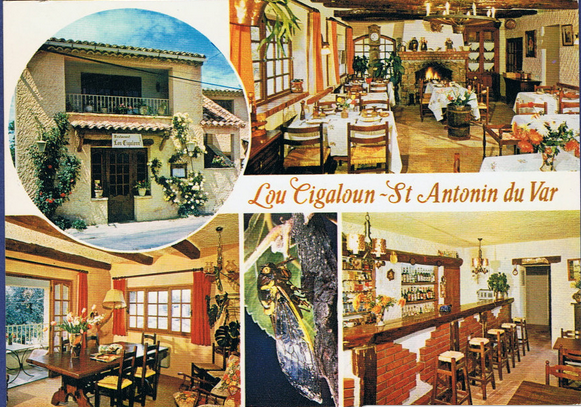 Today the one hotel-restaurant of St Antonin du Var, Lou Cigaloun, the social heart of the village, has the wines of all six village domaines on its wine list. The hotel and restaurant have been modernised and is bright and fresh. Try the local wines accompanied by the imaginative menu on the poolside terrace, and stay a few nights to explore the area. I might return this autumn when the weather is cooler and walk along the old railway line, enjoy the mushroom menus on offer, and try some of the wonderful old red vintages available at Les Treilles d’Antonin and Château Mentone.